I was sick and missed class this week so I decided to start with Neil's hello.bus.45.bridge and hello.bus.45.node boards and program them using Arduino IDE. Milling and stuffing the board went pretty smoothly. I planned to use the following code, adapted from this example The bridge board was programming to send 'H' and 'L' via serial. The node board turns on an LED when it receives the character 'H', and turns off the LED when it receives the character 'L'. 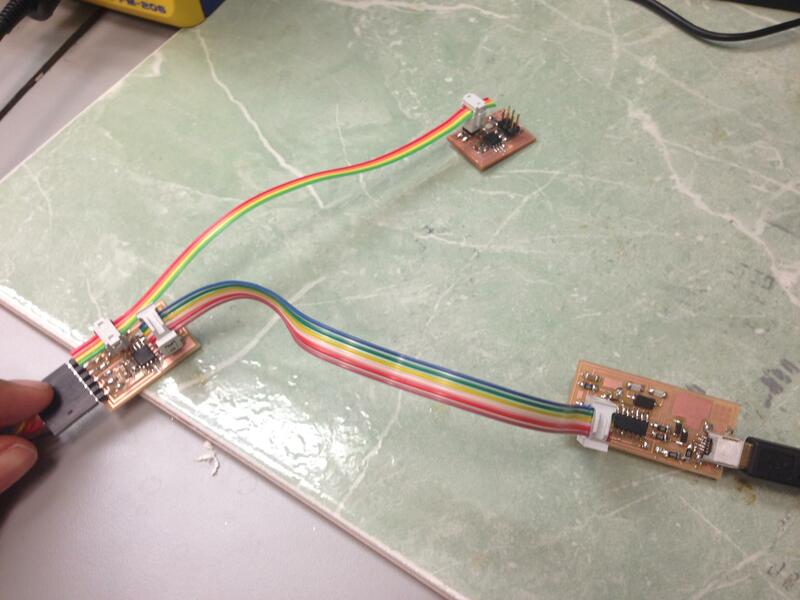 The boards programmed but the LED did not turn on. 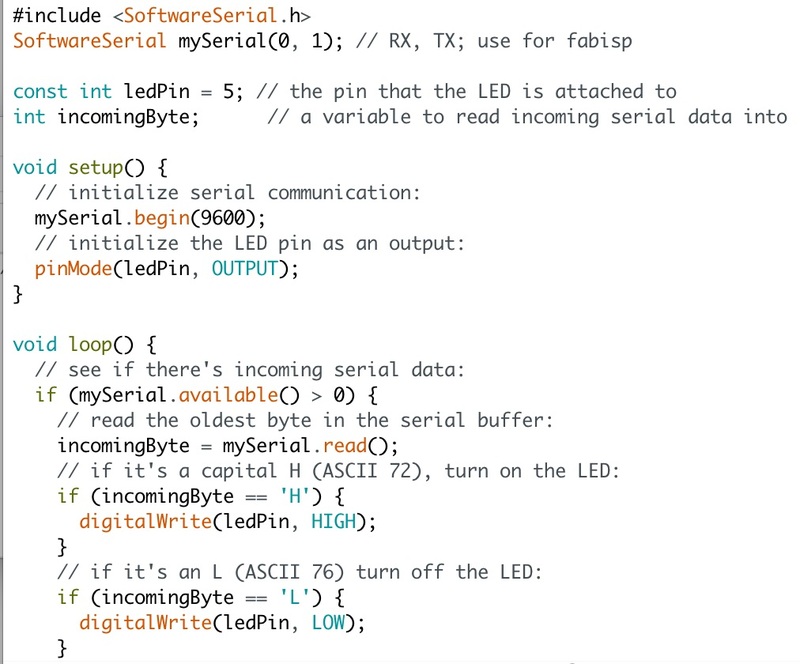 I think I may be using SoftwareSerial incorrectly since I have not been successful in setting up serial connection through Arduino yet. Programming solution tbd.